In the weeks leading up to José Mourinho’s dismissal from Manchester United, a top four finished seemed nigh-on impossible, exits for star players such as Paul Pogba and Anthony Martial were on the cards and to make matters worse, the whole feeling around the club was cataclysmic given Mourinho had isolated himself and seemingly came closer to the end of his journey of not only self-destruction, but also of behaviour detrimental to the club and supporters. Eight points behind Arsenal, eleven behind Chelsea, thirteen behind Tottenham, eighteen behind second-placed Manchester City and league leaders, Liverpool – a dreaded thought for United fans – sat pretty nineteen points ahead of Mourinho’s side. Only seventeen games had been played and it was the worse start to a Premier League campaign in the club’s history. And then Ole Gunnar Solskjær arrived. Now, everything has changed. Nine wins and a late comeback draw has seen Solskjær so far unbeaten since being appointed on an interim basis, though it’s not just results that have pleased fans. The transformation in mood around the club has come from an injection of positivity from the Norwegian – previously unheard of during Mourinho’s era – and it begs the question as to why United would look anywhere else for the Old Trafford hot seat next season if things continue on the same path. Imminently after Mourinho’s sacking, all eyes were on Mauricio Pochettino, including mine. The Argentine was my number one choice for next season, understanding he wouldn’t depart Tottenham until the summer at the earliest, and that whoever took charge now would steer a sinking ship to safety until May arrived. Pochettino would bring a trust in youth, attacking football and demand intensity – things we’ve not witnessed at the club post-2013. Not only that, he’s a charming man, like Mourinho once was before he evolved into the modern-day pantomime villain. The big thing for me was that the Spurs boss improves the players he has at his disposal. With Daniel Levy above him offering extremely limited funds, Pochettino has worked with that and turned players such as Moussa Sissoko from an underwhelming questionable addition into a key player, working with the strengths he does have and placing an importance on the Frenchman in transition. If Pochettino was to still arrive at United, he would still bring the qualities his reputation possesses, without a doubt, but these qualities are also being delivered by Solskjær and his coaching staff, who are already adored by fans. The relationship forming between the players and their manager is one that would have very little value is breaking. Though contract negotiations had hit deadlock under Mourinho, Martial has now signed a five-year deal at the club since Solskjær’s arrival and the belief shown in him by his manager is best highlighted by his challenge for United’s number eleven to emulate Cristiano Ronaldo. It’s now reported that David De Gea is close to renewing, probably the best signing United could possibly make, and negotiations for Marcus Rashford’s extension are set to begin. An irreconcilable situation in contrast to the unhappiness and glum mood around the club just months ago. The atmosphere amongst fans has also dramatically improved. Sections of the fanbase had turned on the younger generation who favoured the likes of Pogba over the manager, siding with the idea that the midfielder was a ‘virus’ in the dressing room, Woodward was at fault for not backing Mourinho with defenders and that the Red Devils had the worst squad in the top six. Now, though, many supporters are united in the belief that Solskjær’s side can overcome Paris Saint-Germain in the Champions League and succeed in February, which also features clashes against Chelsea and Liverpool. It’s not just the baby-faced assassin who is loved at United, however. Mike Phelan’s return to the club has been a key factor in the positivity returning around Old Trafford and the decision to appoint Pochettino would almost certainly wave goodbye to the already slim chances of Phelan staying, along with Michael Carrick and possibly Kieran McKenna in the first team fold. New relationships between Pochettino, his staff and the players would have to be formed, which of course is normal in any situation when a manager is appointed, but the departing of a manager is usually due to dismissal after poor results, whereas it’s unlikely Solskjær and his staff will give the players any reason for fallout and therefore cutting the bond that’s currently blossoming between manager and his squad would be unnecessary given the results being delivered as of late. Talent-wise, Pogba is United’s best outfield player without a shadow of a doubt and getting the most out of the midfielder is essential for success, something Mourinho had failed to do this season. Under Solskjær, no other Premier League player has recorded more goals (six) and assists (5) in the top-flight than Pogba and the 25-year-old has also been directly involved in 55% of the twenty goals scored since he reunited with his former reserves manager, per Squawka. Likewise, Marcus Rashford has been exceeding expectations and has scored six Premier League goals under Solskjær – a feat only beaten by Son Heung-min who has netted seven – and has also scored in four away fixtures in a row, notching against Cardiff, Newcastle, Tottenham and Leicester. Ander Herrera’s importance has only increased with the Spaniard starting in every game United have won with Solskjær in charge and the only game he didn’t start was in the draw with Burnley and his absence was notable. In essence, Solskjær is getting the best out of the current crop of players, a squad many deemed unfit to play for United and was in an urgent needed of financial injection simply to reach the top four. His willingness to want to improve players over splashing the cash would coincide with the clubs decision to add a Director of Football to the mould and improve the recruitment, which seems to currently operate on a scouting basis of shirt signings alone. It’s also worth noting that should United opt for Pochettino instead, a compensation fee in the region of £34m would have to be paid to Tottenham. In comparison, the fee agreed with Molde FK for Solskjær’s services is believed to be £7.2m, meaning United would save just short of £27m in compensation fees by opting to appoint their current interim boss. Pochettino’s lack of hunger for trophies is not questionable, given success is judged differently and the former Espanyol man is correct in his idea that Champions League qualification is more of an achievement for Spurs than sixth and a FA Cup, but he is yet to place significant importance on winning a trophy and a United dressing room must be guided with a winning mentality. Solskjær, on the other hand, won six Premier League titles as a United player, two FA Cups, two Community Shield’s, the 1999 Intercontinental Cup and of course, the Champions League in the same year. All won whilst playing under one of football’s biggest ever winners – Sir Alex Ferguson. 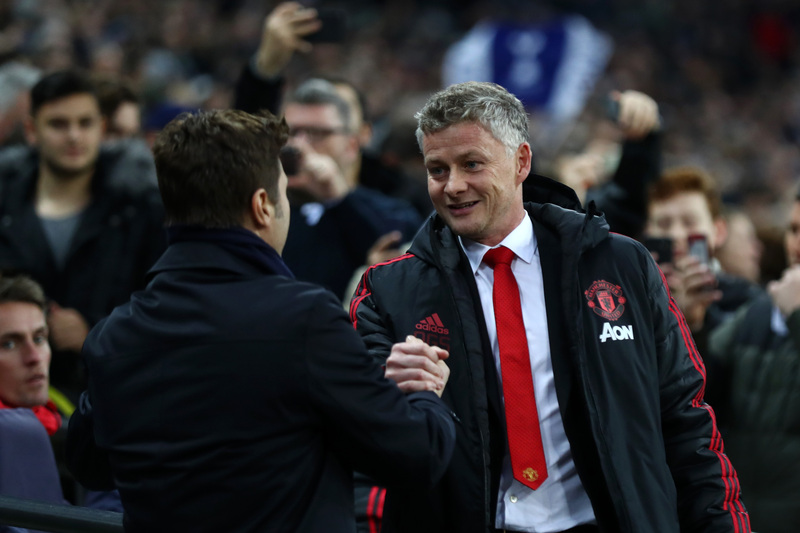 It may be seen as unfair to compare Solskjær’s playing days to Pochettino’s managerial career, and in most cases, comparing a managers honours to players would be. But Solskjær won those honours in a United dressing room and his understanding of the club’s ideology is crystal clear, he has Pochettino’s qualities in wanting to improve players, demanding intensity, working with youngsters and playing on the front foot but he also brings with him that United DNA and experience of being at United under Sir Alex, a quality Phelan and Carrick both also share. Solskjær’s love for the club also means that for him, there would be no better job in football. His want for the club to succeed whilst also knowing the standards that were once set at this club would never be lowered, and controversial, damning comments in press conferences would be a thing of the past. Pochettino, though many believe he has wanted the job due to idolising Sir Alex, is still continually linked with Barcelona and Real Madrid, and it’s arguable that the only step up from managing United is La Liga’s giants. The appointment of Solskjær would see him remain in charge until told otherwise, with it highly unlikely he’d ever force a move away due to interest from elsewhere, whereas with Pochettino, success or failure could see him eye a move to Spain. It’s also important to remember that Pochettino is still young in a managerial sense, 47 in March, and he would still have time to take over at United if Solskjær wasn’t to be a success. However, appoint Pochettino next season and if he was to underwhelm, the regret of not appointing Solskjær would hurt more. Of course, he could come back at any time in the future, but there’s no guarantee he would return with the same impact as he has done this season. Pochettino is also a project manager, it may take two to three years before United are title contenders whilst he implements his style and if he fails, where do United go from there? Still in February, Solskjær has a way to go before his tenure in charge can be deemed by a majority as worthy of taking permanent charge of the biggest club in the world, but provided the feel-good factor continues to grow and the results keep coming, the argument to opt for anyone else other than the Norwegian would be a small one.